In 1997 I visited Circus Flora in Washington D.C. near the Kennedy Center. Producer Holly Harris introduced me to the head of the Flying Wallendas high wire act, Tina Wallenda and Nino Zoppa . I was instantly taken by the intimacy of this one ring circus. 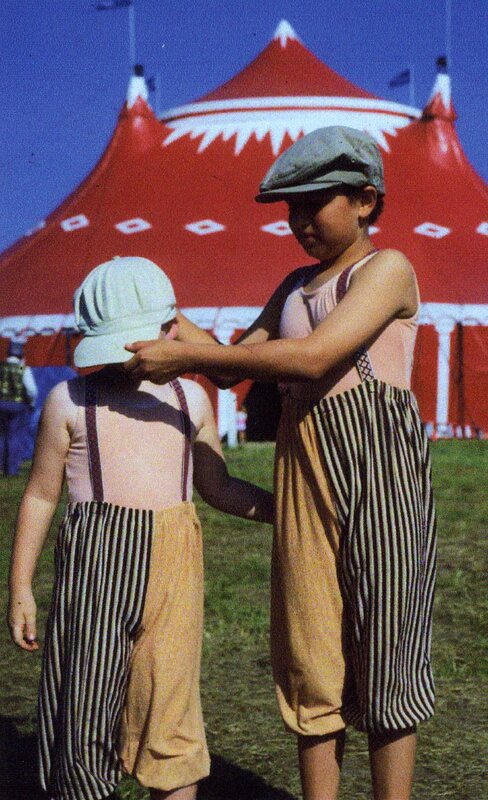 Before going to Nantucket in 2006, I tried to get more insight in what circus life is all about. I read several books like New American Circus by Ernst Albrecht, Water for Elephants by Sara Gruen and a film script by Mary Hardcastle. Screening several movies on circus life like “La Strada and “The Clowns” was a good way to learn what had already been done and to find a unique angle for our movie. We had several meetings with Holly Harris, the producer of Circus Flora, who gave us valuable information about how to act as a film crew around the performers. I felt a special connection with Melinda Marsh Heywood. Together with her husband Alexandre Sacha Pavlata and daughter Zoe, she tries to use their circus acts as a way to promote humanity, tolerance and world peace. The Cortes family, trapeze act were also very willing to work with us. Robinson and Alida Cortes have a 7 year old daughter Isabella who I wanted to interview. Through my daughter Maya I see the world in a different way, and I started focusing more on the children of the performers and find out what choices they have. Can they stay in the circus or leave and get a 9 to 5 job? What do they learn while growing up in a circus? How is their education arranged? Etc. 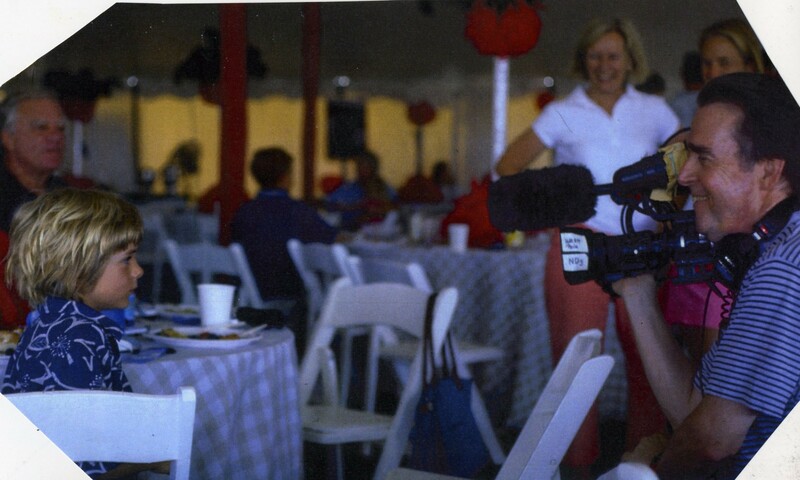 Going with a small film crew made me feel less isolated among the circus performers. During our meals we were able to reflect on the filming and discuss our next steps. In the past, especially while traveling abroad and doing photo journalism. I was by myself most of the time in an unknown environment. I often had anxiety attacks which stifled my creativity. On the other hand it forced me to make new contacts and take risks to get involved with other people. I had some general ideas of what I wanted to film but I allowed myself to be open for unexpected things to happen around me. I like to work without a list of questions but have my key topics in my head like what does home I family education mean to you? creativity I concentration and We had to be in the stand by mode to do the interviews. When a performer had a moment for us we quickly moved to do the interview. While I was waiting other things happened around me and I had to make a quick decision to change my focus or not. Even while filming an interview I kept my left eye open to see if I should stay on that person or not. I like this approach a lot because it forces me to be totally in the moment. Interviewing seven-year old children were a real challenge. We had brought a present for each child and used this to break the ice. It was interesting to see how the kids used the toys to communicate with me. The circus tent was placed on the south east point of Island Nantucket. It’s a wonderful spot but unfortunately the constant wind from the sea created problems with the sound recording during our interviews. We had to check out the whole back lot of the circus beforehand to find where the wind did not interfere with the recording. This limited our spontaneity of doing the interviews with the performers. I had to learn to improvise when making this kind of movie. Unexpected things happen that make this kind of filmmaking so exciting. It took us several weeks to log the film we shot. Of our Film/Video department, Kenny Johnson and Sam Tressler helped with digitizing and filing the material. While working on the assembling, words like magic and surprise was coming up in my mind. It gave me ideas for the structure of our movie. I learned to let the film material guide us while putting the pieces of the film together. We decided to use B/W for the interviews and Color for the circus acts.